e. and i went to the local nursery and picked up a few new plants for the urn that sits outside our door. we went downstairs together in our aprons ready to get dirty. i thought e. would either sit and watch or run around playing with things that she found... nope. e. took to planting our new container, she used the spade by herself, and added soil to the pot. we had such a great time and now have a fresh container of plants by the front door that we water and watch grow, together. 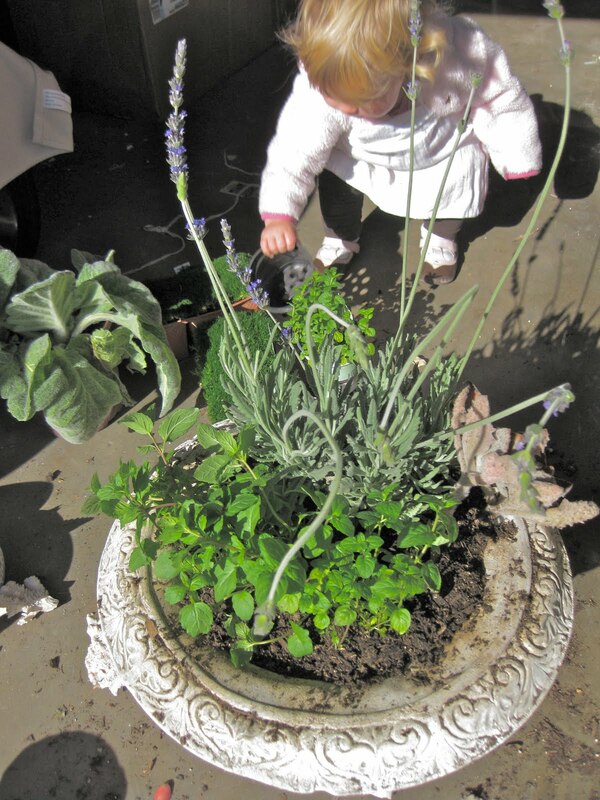 i highly recommend planting something with your children, or someone else's for that matter.